Sometimes there is an urge to make something rather authentic. Nutella , that creamy, nutty Italian goodness was recently in my head. So I took a stab at it. 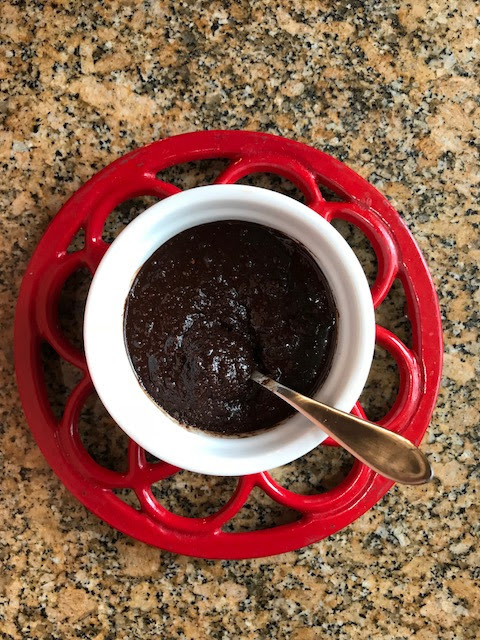 Here is a challenge for you: can you make a vegan version of chocolate hazelnut spread? Most commercial versions include milk powder, which my family can't eat. When I am in Belgium, we buy the old fashioned version of Flemish chocolate spread that is non-dairy, but eat it sparingly because it's so sweet. David, this is totally vegan. Ingredients. Dry hazelnuts, Hazelnut oil, Sugar, Dark Cocoa powder, pinch of salt.